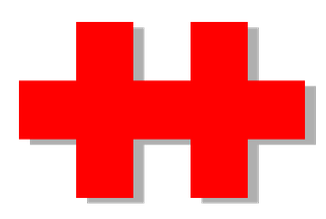 A symbol often seen during the National Day of the Republic of China on 10 October (stylized version of character 卄). October 10th or Double Ten, a number combination that gives out happy thoughts and feelings. 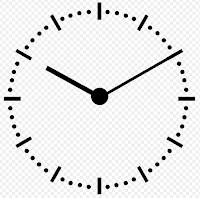 If you ever wondered why clocks and watches displayed at stores are always set at 10 minutes after 10, it is because when you look at the clock’s face, the hour and minute hands in that position make a happy or a smiling face. For our Chinese brothers and sisters, it’s a national holiday, a day of remembrance, a day for celebration. For it was on this day in 1911 when the dynastic rule over China and the resentment of the people towards the government at that time were put to an end. October 10, 1911 – the day the more than 2,000-year reign of the Qing Dynasty ended. It was also the beginning of the formation of the republican form of government in mainland China. Many types of activities are staged during the celebration of the Double Ten, but it is not just fun and aplomb all the time, because before it became a national day of celebration, a long and grim history enveloped this specific date. Double Ten Day, what is it? In China, Double Ten Day is the anniversary date of the Wuchang Uprising, a citizen revolt which led to the Xinhai Revolution. The Wuchang Uprising was executed on October 10, 1911 and together with the Xinhai Revolution lasted for four months and two days, ending on February 12, 1912. It ended in 1912 with the expulsion from the Forbidden City of Emperor Puyi and the establishment of the Republic of China. Although it sounds gruesome and sinister, the revolution added a new page in the history of China and led to the independence of Wuchang as well as other Chinese provinces in 1911 from the central government. The Xinhai Revolution managed to overthrow the government of the Qing Dynasty. It put an end to over 2,000 years of rule by the Qing in China and led to the beginning of the Republican Era. This era lasted from 1911 until 1949. When the Second World War ended, the Government of the Republic of China was overthrown by the Communist Party during the Chinese Civil War from 1946 up to 1950. This forced the 1949 retreat of the ROC to Taiwan, an island state where the original constitution that the ROC established in the Chinese mainland still remains in force to this day. The ROC government brought with them more than 1.5 million soldiers and refugees, increasing the number of inhabitants in Taiwan as well as forever changing its political and social landscape. There is also what is called the Double Tenth Agreement. Its formal name is “Summary of Conversations Between the Representatives of the Kuomintang and the Communist Party in China.” It was actually an agreement reached after 43 days of negotiations by the two parties that ended on October 10, 1945. Based on the agreement, the Communist Party of China or CPC recognized that the Kuomintang of China or the KMT was the legal government in the country in the same way that the KMT recognized that the CPC was a rightful party in the opposition. 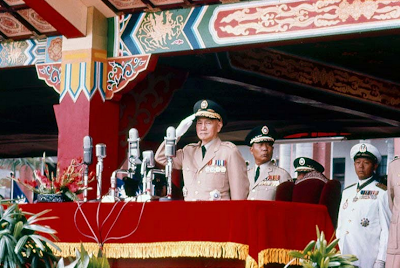 Generalissimo and ROC President Chiang Kai-shek presiding over the 1966 Double Ten celebrations. The People’s Republic of China in the mainland and the Republic of China or Taiwan are both victors after the Xinhai Revolution and continue to recognize the ideals of that particular revolution and its effects on their lives. It spurred national unity, the modernization of China as a whole and promoted the ideals of republicanism and nationalism. 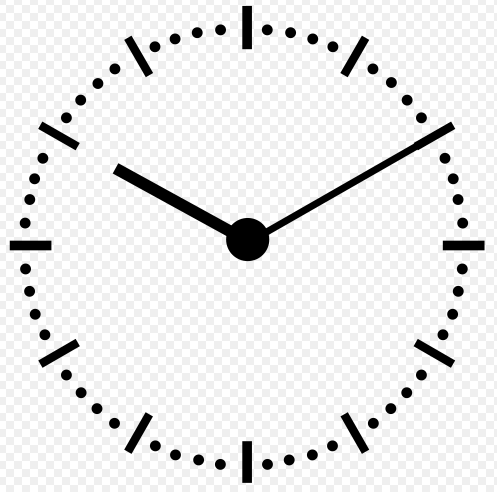 The celebration attached to the symbolic date though is different. In mainland China as well as in Macau and Hong Kong, the day is the anniversary of the Wuchang Uprising and the Xinhai Revolution while it is the National Day of the Republic of China in Taiwan. Many Chinese nationals all over the world commemorate the day with celebrations in their Chinatowns. It is a recognized fact that Chinese who settled overseas had played a great role in the revolution since they contributed funds to the uprising and the founding of the republic through Dr. Sun Yat-Sen.
- October 10 2011 Taiwan celebrates 100th anniversary. With the transfer of the Republic of China to Taiwan in 1949, the Taiwanese have more reason to celebrate the occasion, which is a national holiday in the island state. The first part of the celebration starts with the flag ceremony in front of the Presidential Building located in the Zhongzheng District of Taipei, the nation’s capital. The public joins in the singing of the National Anthem. Foreign ambassadors, dignitaries and representatives and military officers are invited to view the parade and other activities. The square in front of the building becomes a huge venue for the succeeding activities. 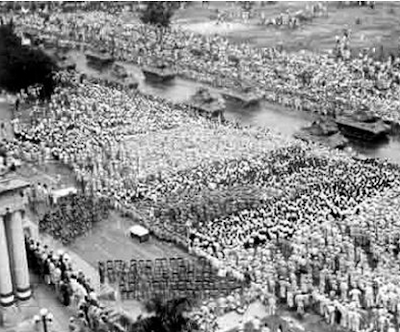 A military parade is held, followed by several festive activities. A lion dance, drum teams and other aspects of the traditional culture in China are put on display. The President of the Republic of China gives a public address to the nation later in the day. Across the country, fireworks displays and concerts are held to mark the end of the celebration. Supporters of ROC in Hong Kong used to display the national flag of the Republic of China during the Double Ten Day celebration. The celebration is still allowed, even after the transfer of Hong Kong to mainland China in 1997. However, displaying the flag of ROC publicly is now prohibited. Many Chinese nationals living overseas also celebrate the occasion. Chinese communities in major cities in the United States such as in Chicago, New York, Miami, Houston and San Francisco celebrate the occasion with parades, fairs, marching bands, lion dances and street dancing. The city of Paris, France held a Double Ten Day celebration a few days earlier this year, 2012. 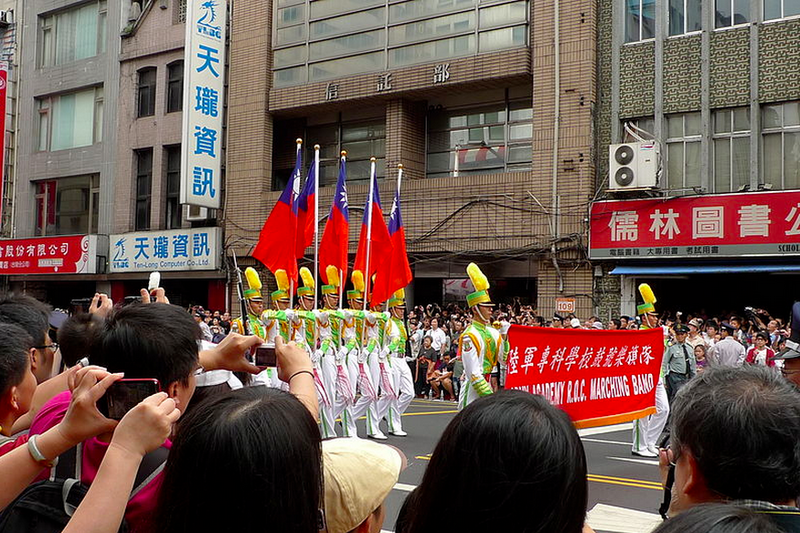 October 10 2011 Taiwan celebrates 100th anniversary.